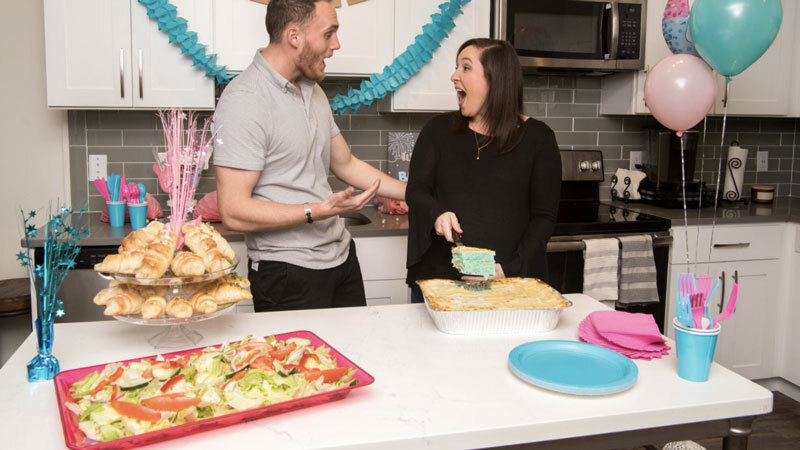 Move over gender reveal balloons, cakes and confetti, because there is a brand new way to reveal the gender of your unborn baby: gender reveal lasagna! Say what?! Yes you can now announce if your bun in the oven is a boy or a girl with a cheesy pink or blue lasagna. At first it looks look a normal yummy lasagna, but once you take a piece you will find a pink or blue interior. The gender reveal lasagna is an idea of Villa Italian Kitchen and can only be ordered in the US. The package features one cheese lasagna with a secret pink or blue interior, a tray of garlic rolls and a choice of either a garden, Caesar or Greek salad. The price is $139.99. So if you aren’t a sweet tooth this is the way for you to reveal the big news.